Virgin Australia today launched its inaugural flights to Hong Kong, marking the start of the airline’s expansion into Greater China. 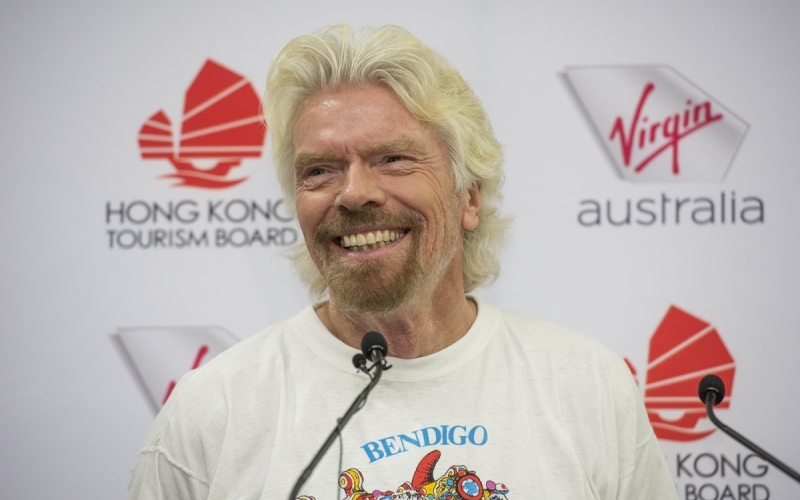 Sir Richard Branson said: “I am so delighted to see Virgin Australia fly to Hong Kong for the first time. Both Melbourne and Hong Kong are such vibrant, fantastic cities and to be able to connect them with the world’s best Business Class and the best cabin crew is truly exciting. “Until today, this route has been far too cosy with just two airlines flying it and it desperately needed Virgin competition, so we’re here today to shake things up on this route. “I’ve been lucky enough to spend some time with the team at Virgin Australia this week and I truly believe they are the best in the business. 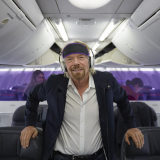 Their passion for making this airline standout from the rest is contagious,” Sir Richard Branson said. 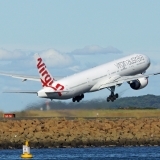 Virgin Australia Group CEO and Managing Director John Borghetti said: “Today’s inaugural flight marks the start of Virgin Australia’s expansion into Greater China. Hong Kong’s diverse cultural fabric has long been a draw card for many Australians, as has its appeal as a stepping stone into Greater China. Through Virgin Australia’s direct services to Hong Kong and our partnership with Hong Kong Airlines, Australians can enjoy convenient travel to Greater China. 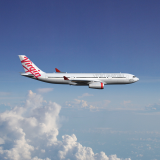 “Virgin Australia is renowned for bringing choice and competition and since our flights went on sale we have seen our competitors discount their Melbourne-Hong Kong fares by as much as 34 per cent compared to before our fares were launched. 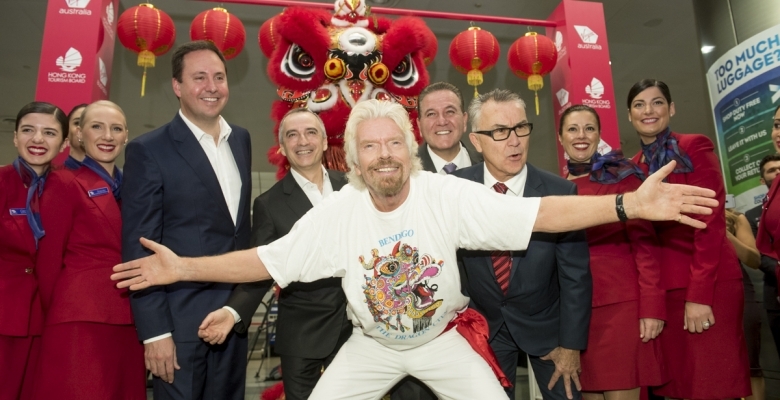 “Hong Kong and mainland China are two of the largest and most valuable inbound travel markets for Australia and we are excited to introduce Virgin Australia to these regions. We believe there is tremendous opportunity for growth in these markets. 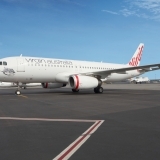 “Just last month Virgin Australia was awarded Best Airline and Best Airline Staff in our region and was the highest ranked Australian airline in the Skytrax World Top 100 list . We are delighted that residents in Greater China will be able to experience our world-class product and service when flying to Melbourne,” Mr Borghetti said. Virgin Australia’s inaugural flight to Hong Kong departed Melbourne at 9.40am this morning, with much fanfare at Melbourne International Airport. 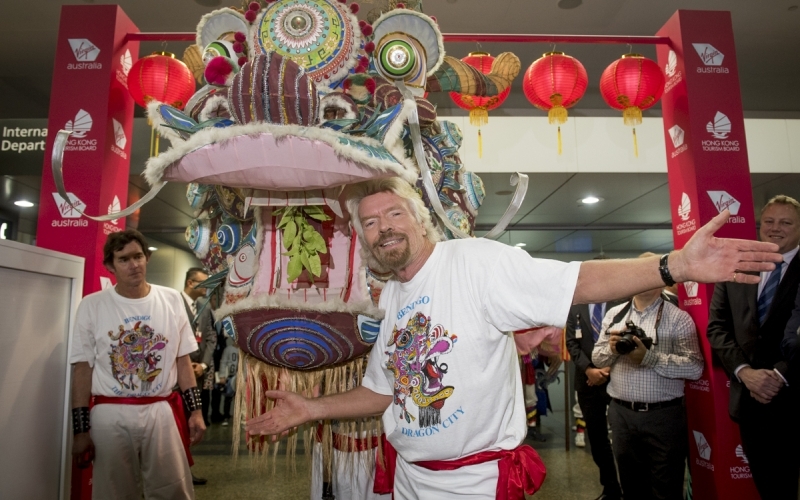 Founder of the Virgin Group, Sir Richard Branson, carried the head of 32-metre local Bendigo dragon Yar Loong in a traditional procession with lion dancers and drummers to celebrate the milestone for the airline. and John O’Sullivan, Managing Director of Tourism Australia. Guests on board the inaugural flight were treated to traditional egg tarts and Old Town Central walking guides at the boarding gate, Cantonese lessons conducted on board with Sir Richard Branson, fortune cookies, and a Hong Kong-inspired menu. Virgin Australia’s resident chef Luke Mangan also travelled on the inaugural flight, taking Business Class guests through the new menu which has been designed to highlight Hong Kong’s culinary delights, with dishes such as pork and shrimp wonton soup with bok choy and bamboo shoots. The inaugural flight also marked the launch of Virgin Australia’s inflight Duty Free. Virgin Australia has partnered with over 100 exciting and popular Australian and international brands which guests can now purchase on board on flights between Melbourne and Hong Kong. 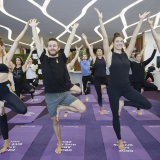 Business Class guests as well as eligible members of Velocity Frequent Flyer are granted entry into the Etihad First & Business Class Lounge in Melbourne prior to departure of Virgin Australia’s flights to Hong Kong. In Hong Kong, eligible guests may enter Hong Kong Airline’s Club Bauhinia Lounge located in Terminal 1. Virgin Australia will operate five services per week between Melbourne and Hong Kong, utilising the Airbus A330-200 fleet which features the award-winning Business Class suites, ‘The Business’, which were recently recognised as the world’s best Business Class by Airline Ratings , as well as 255 economy seats in a 2-4-2 configuration.